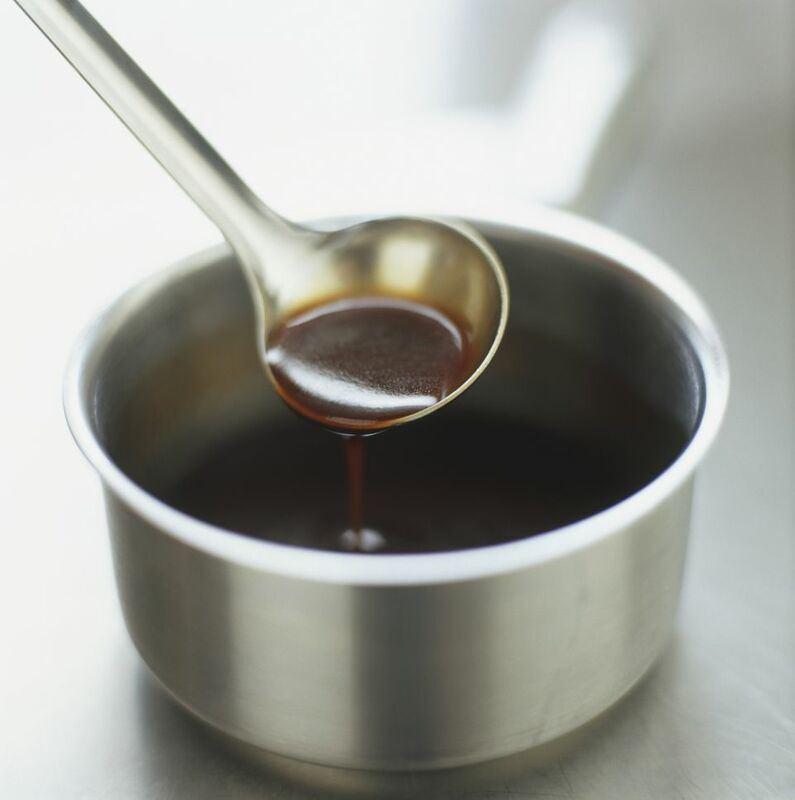 This espagnole, or brown sauce recipe, is one of the five, classic mother sauces of French cuisine. It is made from simmering mirepoix, tomato puree, herbs, and beef stock. Rumors have abounded for years that French brown sauce was named for the Spanish tomatoes used in one of its earlier versions, or that Spanish cuisine played a large part in its evolution to what we know today. Contrary to popular thought, espagnole sauce has nothing to do with Spain, but rather because of French stereotypes of Spaniards at the time. In a large saucepan set over medium heat, melt the butter and sauté the carrots, onions, and celery in the melted butter until the vegetables turn translucent. Sprinkle the flour evenly across the vegetable and stir it in, until the flour is fully mixed into the melted butter. Allow the mixture to cook and thicken into a roux; this takes about 1 to 2 minutes. Whisking constantly, pour the hot beef stock and tomato puree into the roux. Add the garlic, peppercorns, and bouquet garni into the sauce and simmer it, uncovered and stirring occasionally, for 45 minutes to 1 hour. Remove the bouquet garni and discard it. Use the sauce as a base for demi-glace or other sauces.